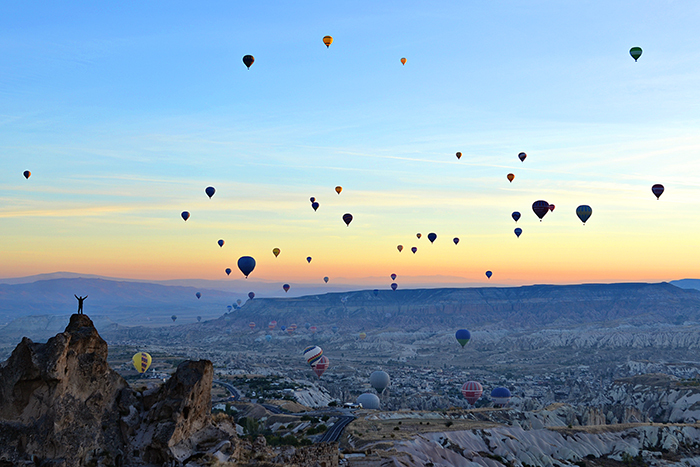 Cappadocia was a dream! 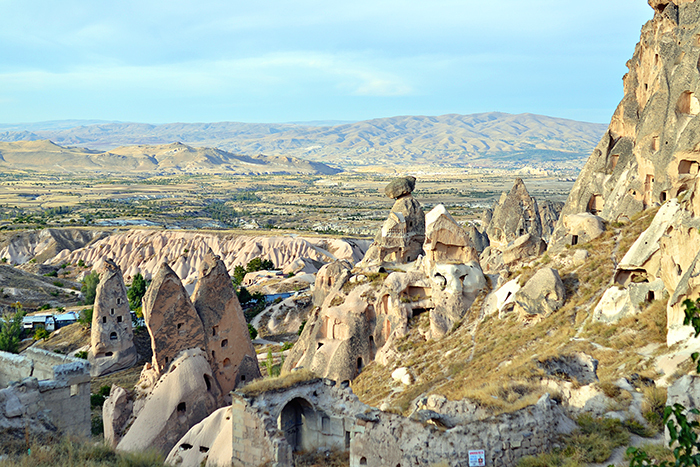 This magical destination has long been on my bucket list and when Argeus Tours invited me for a weekend in Cappadocia, there was but one answer... YES! I fell in love with Turkey when I first traveled to Istanbul five years ago. 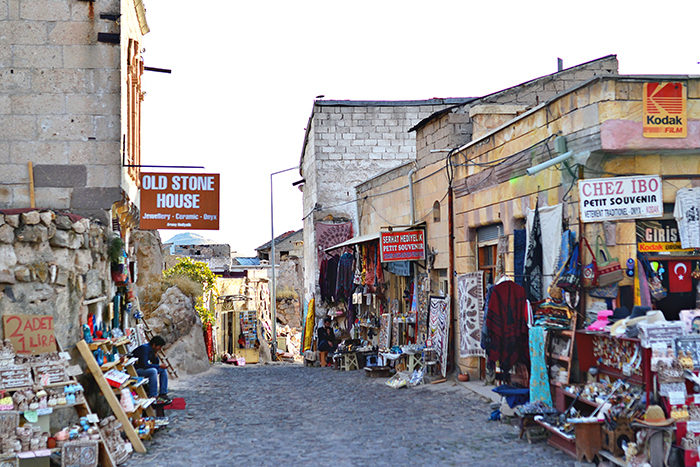 I was struck by the history and culture of the city and how the Turkish people beautifully blend past and present. My experiences in Cappadocia only reaffirmed my love for traveling in Turkey and my admiration for its incredible history and fascinating culture. I also cannot say enough great things about Argeus. They are a fabulous company who handled everything, and who has these tours down to a science. It was hard for me to give up control, but I simply got on the plane and showed up. In the end, I could not have planned a better trip (at a better price) than Argeus. Sometimes it is just worth it to go through a great tour agency. I traveled to Istanbul and then on to Kayseri Friday evening. Unfortunately, my flight was delayed in Istanbul and I arrived super late to Kayseri. I didn’t get into my hotel until 2 a.m. But that’s ok, because you can see what I woke up to the next morning in the first two photos. I stumbled out of my hotel room and was greeted by one of the most beautiful sights I have ever seen. Breathtaking is about the only way I can articulate the experience. It made my sleep deprivation and illness (which I was still fighting!) fade away. Argeus also arranged my accommodations. 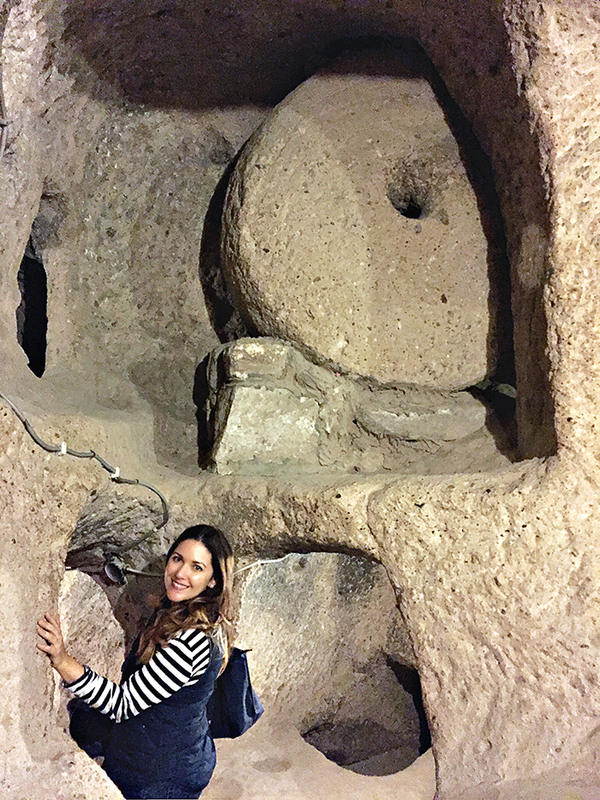 I stayed in the incredible Kale Konak cave hotel. I could not have asked for a better hotel. It sits on the top of one of the mountains, so every morning you greeted by a hundred hot air balloons rising from the valley below. The hotel is a perfect example of how Turkey seamlessly blends past and present. It is a historic cave dwelling turned modern hotel. You get the feeling of staying in an ancient cave, but with a full Turkish bath, comfy beds, satellite TV, central AC/heat, and a waterfall shower. And don’t even get me started on the breakfast. The best hotel breakfast I have ever had! After eating my body weight in Turkish breakfast, my private mini van and tour guide arrived to take me on that day’s adventure. I felt like a princess, because Argeus tour vans aren’t normal tour vans, they are palaces on wheels! You should have seen the joy on my face when my guide gave me the wifi password for the van. Yes, that’s right, I had wifi everywhere we went. Turkey gets me. The van also had carpet-lined floors, a cooler for drinks, and large reclining leather seats. Basically they have ruined me for all other travel (I am looking at you Italy). Our first stop was a caravanserai on the Silk Road! If you are a history nerd like myself, your heart just skipped a beat with that sentence. I have studied and taught the Silk Road--the ancient network of trade routes from China to Europe--but I have never stood on it. That is until last weekend. Walking along this ancient path and getting to visit an eight-hundred-year-old caravanserai (these were the strategic stops along the Silk Road to rest and refuel) was nothing short of amazing. 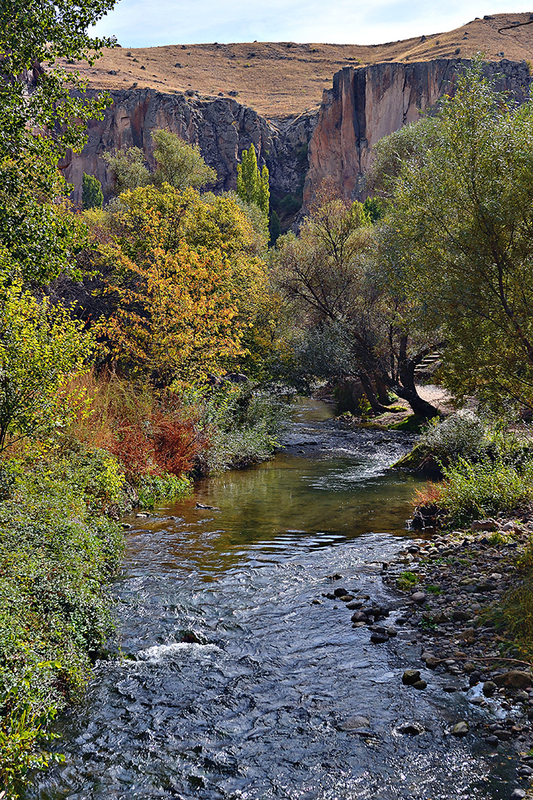 Our Second stop was Ihlara Valley. This valley is a 10 mile long gorge created thousands of years ago from multiple volcanic eruptions. Turns out the massive gorge created by violent eruptions formed a beautiful micro-ecosystem and the perfect place for settlement. 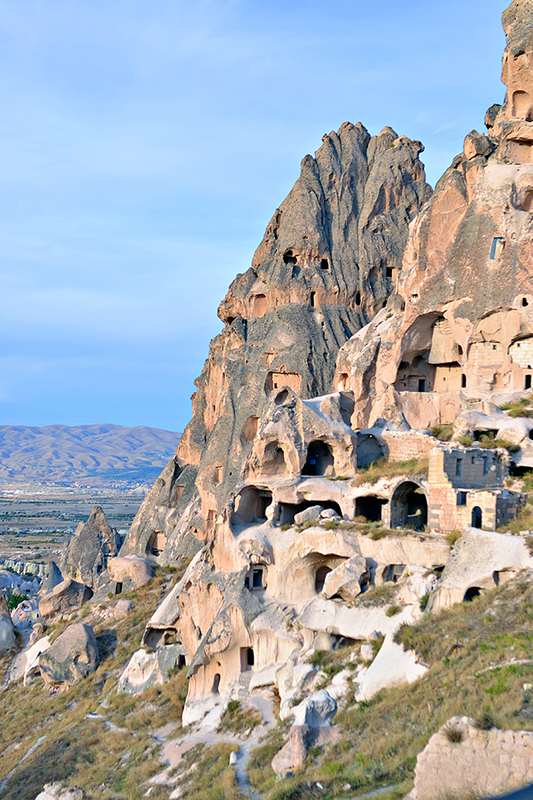 The entire canyon is honeycombed with underground cave dwellings and Byzantine churches cut directly into the rock. When early Christians were being persecuted by the Romans, they escaped and lived here. Today you can hike and explore almost all of the canyon. After stopping for a quick apple tea (because when in Turkey), we continued on to the village at the end of the Ihlara Valley, Selime. Selime has a wonderful preserved ninth-century monastery complete with original frescos inside. We stopped for lunch (kabobs, kabobs, and more kabobs lol) in a little town on our way to our final stop for the day, the Kaymakli underground city. I wasn’t able to get many pictures of this incredible underground city, because, as you might imagine, the lightening isn’t great down there. But I managed to get one grainy image of myself exploring the caves and you can see just how small and maze-like many of the tunnels are. You can also see the huge stone circular-slabs that were used as doors. This city underground was built for protection. Inhabitants from the city above could escape below and live there for up to three months. The city extends eight (yes, eight) levels underground and is an engineering marvel. They had fresh water, ventilation systems, a winery, and waste management... almost 10,000 years ago! The complex was started by the first Indo-European settlers in 8,000 BC and was continually expanded and inhabited until the 14th century. After that it was still used periodically for shelter in times of violence and war until the 20th century. 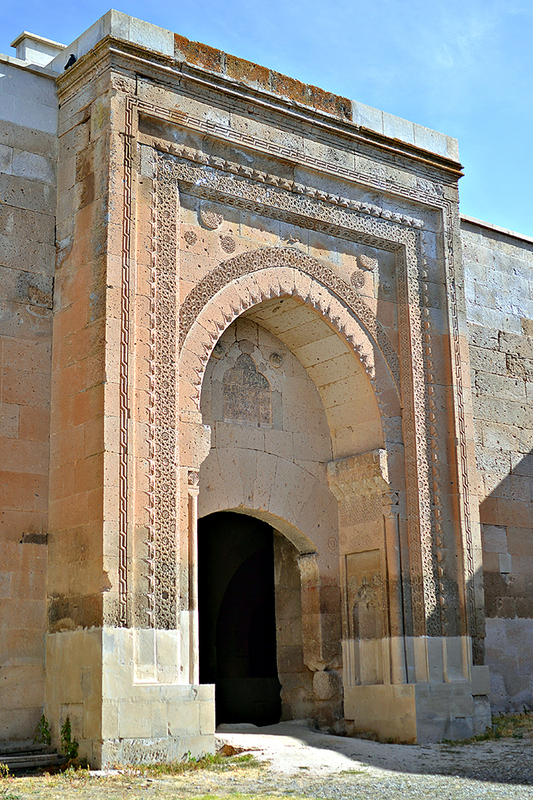 After exploring Kaymakli, my luxurious mini van dropped me off in the town where I was staying, the Uchisar Village. Since my hotel was right next to the Uchisar Castle, I had to explore it before relaxing in the Turkish bath at my hotel (I know, life is tough). 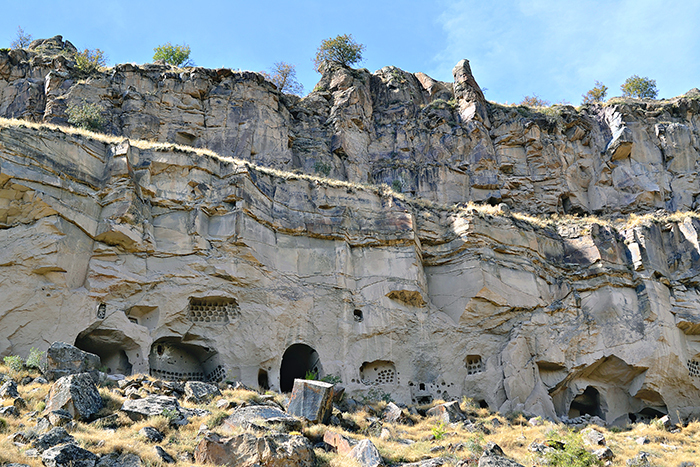 The castle is another rock-carved dwelling for the ancient Cappadocians. 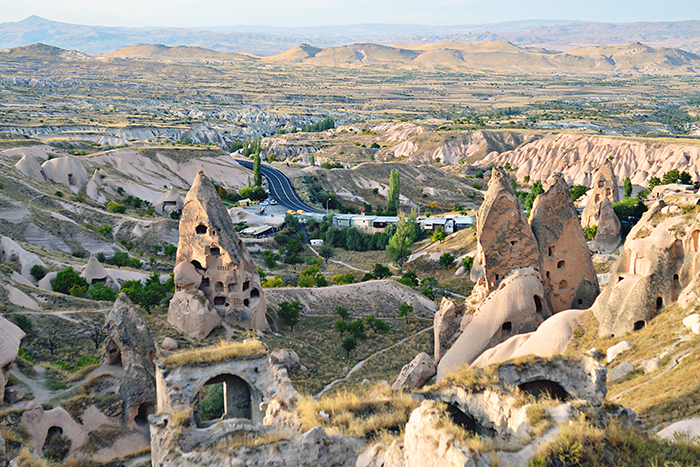 From the top of the castle, you get an incredible view of Cappadocia’s unique landscape, which looks like it is something out of Star Wars. After a jam-packed day I was happy to return to my hotel and relax, especially since I had to get up at 4 am the next morning for my hot air balloon ride... but more on that in the next post! 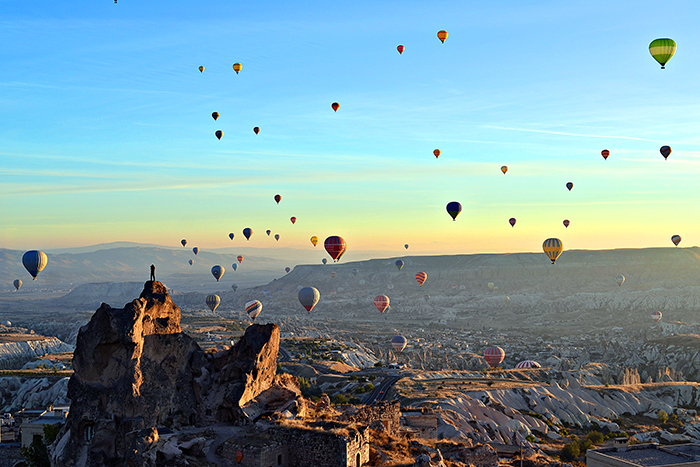 Is Cappadocia on your bucket list?